Villagers in Kanker district of Bastar say they have used the forest land for generations, and therefore have rights over it under the Forests Rights Act. Raman Singh, one of the longest-serving chief ministers of the Bharatiya Janata Party, is hoping for yet another win in this month’s Assembly elections in Chhattisgarh. Despite the party’s victory in the state in 2013, it lost most of the seats in tribal areas, a huge setback in a state with a 31% Adivasi population. “The BJP cannot win tribal populations back into its fold without the efficient implementation of the Forest Rights Act,” said Alok Shukla, convenor of the Chhattisgarh Bachao Andolan, a Raipur-based non-profit organisation. Adivasi populations depend on the forest for their existence and livelihoods and the Forest Rights Act, which was passed in 2006, aims to recognise their legal rights over forest lands. 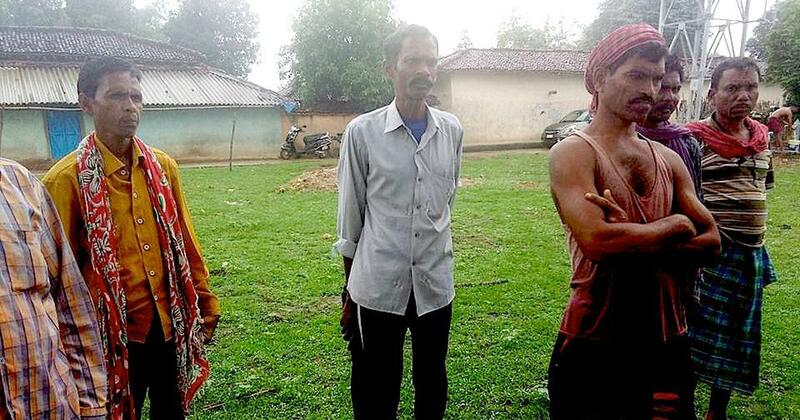 But far from trying to win back votes in the tribal belt, the Chhattisgarh government seems to have alienated Adivasi farmers in Kanker district of Bastar, a region where the Maoists are seeking to enlist support for their protracted war against the Indian State. In June, the Collector of Kanker, Ranu Sahu, took over 30 acres of forest land from Lamkanhar and Faraskot villages in Antagarh sub-district of Kanker. These two villages are about 8 km apart. The land was allotted to the Bhilai Steel Plant, India’s main producer of steel rails and other steel products. The state government claims ownership over this land, but villagers say they have used the land for generations, and therefore have rights over it under the Forests Rights Act. “How can the government just decide to give away our lands without consulting us?” asked Kapil Dev Rajak, a resident of Faraskot. Moreover, the state used the provisions of clause 20 of the Chhattisgarh Land Revenue Code to take over the forest lands. According to that, if lands of a farmer are scattered in different parts of the district, the farmer can exchange his land with that of other farmers to consolidate a larger tract. In common parlance, this is called adla-badli. On June 2, more than 100 villagers from Faraskot village marched to the nearest police station to file a First Information Report against what they called an illegal takeover of their lands. Since the officer in charge refused to file an FIR, they wrote their complaint on a piece of paper and left it with him, said Badri Gawde, a local politician with the Opposition Congress party. The ball that led to the acquisition started rolling in 2016, when the Ministry of Human Resource Development set up an Indian Institute of Technology in Kutelabata, near Bhilai town, which is located more than 200 km north of Antagarh, in Durg district. The institute currently functions from a temporary campus. The government acquired about 300 acres of land from the Bhilai Steel Plant to set up a permanent campus for IIT Bhilai in exchange for which the plant was promised land in the districts of Balod, Kanker and Narayanpur districts. This arrangement worked well for the Bhilai Steel Plant as these districts have huge deposits of iron ore. For instance, the Rowghat hills of Kanker district, 40 km east of Antagarh, contain an estimated 700 million tonnes of iron ore spread over more than 1,700 hectares, making it the second-largest iron ore deposit in the country. In the early 1990s, the Union government had allocated a portion of the Rowghat mines to the Steel Authority of India, which owns the Bhilai Steel Plant. Though local Adivasis have long opposed these mines, officials claim that commercial production of iron ore from Rowghat will begin from 2022. The dense forest land diverted from Lamkanhar and Faraskot villages in June are earmarked for townships, hospitals and schools for prospective employees of the Bhilai Steel Plant in this region. Adivasi villagers say that the acquisition of the forest land violates the Scheduled Tribes and Other Traditional Forest Dwellers (Recognition of Forest Rights) Act, 2006. This law gives complete power to the gram sabhas or village councils to collectively decide land use. According to this Act, before the government acquires forest lands, the ownership of those lands have to be transferred to the traditional forest dwellers under the Forest Rights Act, after which the gram sabha will decide if the land should to be given away to the government. Since forest-dwelling communities work together on their land, ownership under the Forest Rights Act is claimed both by individuals and by the community. The processes of filing for community forest rights have not been completed in either of the villages, let alone possessing land ownership papers. Since the villagers do not have land ownership documents, Collector Sahu said the land belongs to the state. Keshav Shori, a Kanker-based activist who has worked on the Forest Rights Act for over a decade, said that imposing a rule meant for farm lands to acquire forest lands is missing the point of separate legislations for the preservation of forests. Moreover, adla-badli facilitates the takeover of Adivasi lands by non-Adivasis, which violates another law, the Panchayats (Extension to Scheduled Areas) Act, 1996, whose provisions operate in Fifth Schedule areas and make it illegal to transfer lands from Adivasi to non-Adivasi populations without the consent of the gram sabha. Under the Fifth Schedule of the Indian Constitution, an area where more than 50% population is tribal is a scheduled area. Of the three districts where the government is acquiring lands for the Bhilai Steel Plant, Kanker and Narayanpur are Fifth Schedule areas. Kanker district has a 55.4% tribal population. The Panchayats (Extension to Scheduled Areas) Act and the Forest Rights Act work together to safeguard the rights of the forest-dwelling communities by vesting power in the hands of the gram sabhas. Every adult in a village is expected to be present during the gram sabhas and they are presided over by traditional leaders of the community. Between January and April 2017, four gram sabhas were held in Faraskot. “And we opposed the acquisition in each one of those gram sabhas,” said Gawde. Documents maintained by the secretary have the signatures of all the members who had opposed the transfer of lands. In May, local resident Bhajan Dharmu Ram saw a notice in the panchayat building’s notice board that claimed that major parts of the land that belongs to Faraskot village were diverted to the Bhilai Steel Plant. A few days later, JCB excavator machines rolled into the quaint village. “We just assumed that our lands were ours, especially since we had opposed the diversion during gram sabhas,” said Rajak, who is set to lose all the four acres that he owns. He is one of the handful of residents in Antagarh who has land ownership documents. After the residents of Faraskot stormed the police station in June, the gram panchayat received threats of violence, said Gawde. 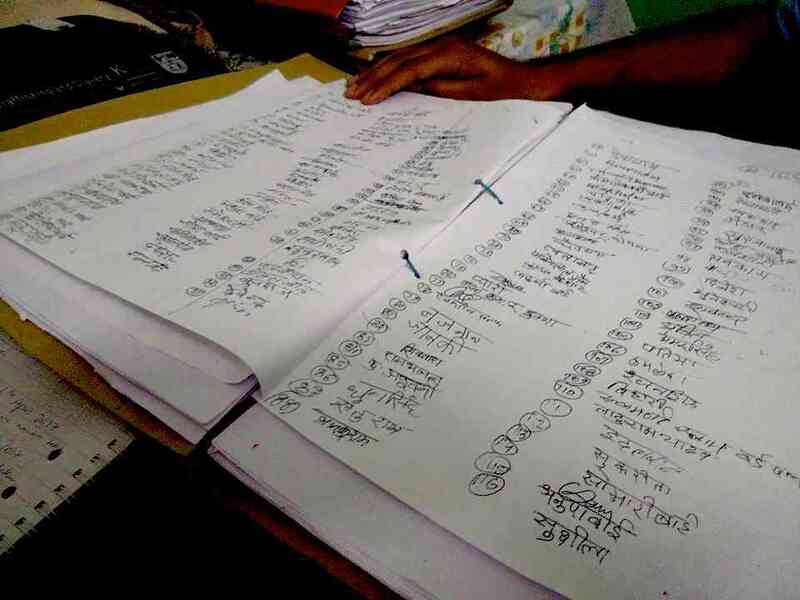 “The SDM [sub-divisonal magistrate] said she woud unleash the forces on us unless we signed in favour of the land diversion,” said a resident of Lamkanhar village, who requested anonymity. Local residents believe this is no idle threat. Since 2014, the Rowghat region has seen a steady increase in troop deployment. Working on a report published in February 2016 in Scroll.in, this correspondent visited half a dozen villages ensconced in the forests of Rowghat. The residents of several villages such as Rohindargra, Chhote Jaitpuri, Dangra, Bhaisangaon and Gondbinpal, among others, complained to this correspondent of harassment from the Chhattisgarh police and the Border Security Force deployed in the area. Rowghat hills border the Abujmarh forests, considered to be the bastion of the banned Communist Party of India (Maoist). “Under the garb of fighting the Maoists, the forces terrorise us and help authorities take our lands away,” said the same villager. Following the sub-divisional magistrate’s threat, a no-objection certificate was subsequently issued on June 3 by the tehsildar of Antagarh to the district collector. This letter passed through all the ranks of the government – the sub-divisional magistrate and the district collector – and reached the secretariat in Raipur on the same day. The land was transferred to the Bhilai Steel Plant within two days, according to lawyer Krishna, who recovered the documents of land transfer by filing Right to Information applications. According to the IIT Bhilai website, Prime Minister Narendra Modi laid the foundation stone for the permanent campus on June 14, 2018, exactly 11 days after the Rowghat land was diverted to the steel plant. “If only the administration can be as efficient when it comes to tribal rights,” said Rajak.